Hello Friends, welcome again today i am going to share the real truth with all of you that What is Facebook freezer error 438 truth. Why it comes and what really it is. Most of us are very curious guys who frequently searches thing like “How to hack Facebook account” or ” facebook hack tool” or facebook freezer” etc. And hackers always try to get benefit of your such noobish things that you frequently search over net. What they do they attach remote keyloggers and RAT’s with these programs or simple make the remote keylogger and name it as Facebook Hacker or something else accordingly. And the most funny and dangerous thing is that you download such softwares and uses them. And when you click on that you will get an error message or simply no message and then nothing happens means program doesn’t work. Now you think that the program might have stopped working but have you ever tried to understand “why it doesn’t work” and most obvious why it should work?? rofl..I really hope that most of us has given a try to Facebook Freezer and the most amazing thing is that all got the same error message ” Run Time Error ‘438’ “. This the fake error message that you will get after running the facebook freezer. First of all i will tell you that there is no such software called Facebook Freezer , its just a remote keylogger, when you install it you will get an error message . Its a 110% fake software and the most funny thing is that its a remote keylogger , also some setups consists of RAT (Remote Administration Tool). Enjoy and have happy hacking.. and read on more about facebook freezer and error messages. What really is a Facebook Freezer? But the above specifications are completely fake as its a fake software … its a hack tool developed by very famous group “Cybercops” . 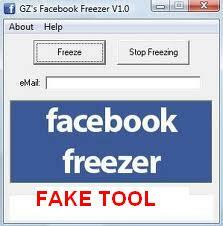 They created a remote keylogger server and named it as facebook freezer , a facebook hack tool. What smart thing they did whenever you will execute the hack tool it will show and error “Run Time Error ‘438’” and it terminate abruptly but that is not the real case. As this is just a fake message that is created by hackers whenever you try to run the software, it will show the error message but it will execute successfully but at background this means a remote keylogger server is installed on your system. So friends your system has been hacked and all your email id and passwords are hacked by hackers. What is Remote Keylogger and How it Works? Remote keylogger is a hack tool, its similar to normal keyloggers which records all your keystrokes i.e each and every key pressed by you. But only difference is that by remote keylogger records your files and sends it to hackers email or FTP address. How the Fake Message is Created? There are several tools available that will create fake messages for you but nowadays almost all famous keyloggers (specially remote keyloggers) have an inbuilt feature to create fake messages like in case of Facebook freezer its “run time error 438”. 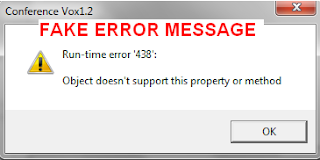 Also you have faced some error messages like “please upgrade your .NET version” or “Error ! .NET 3.5 not found on system” and much more…. But these all are fake messages because these are all cheap tricks to make novice users fool. I hope you all have liked it . If you have any queries ask me! Mr mukesh kindly explain how to hack facebook account in detail the article which u have uploaded i tried that but how to send email to victim through our email id connecting to web hosting account i did’nt understood that kindly help me out ..
thanks for the information. I am waiting for your post how to hack the hacker using reshack and cain and abel.